and a small kitchen facility is available for student use. Follow us on Facebook and Instagram for course information announcements. Since 1975, SOLO Wilderness Medicine School has taught over 400,000 people in the wilderness medicine skills needed when a crisis arises far from 911 emergency medical services. Whether in a backcountry adventure setting or a disaster site, you need to know how to think beyond the boundaries of urban medicine. You have to roll up your sleeves, get out your first aid kit and improvise. 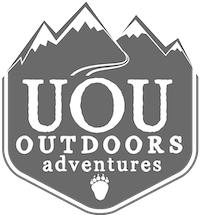 UOU Outdoors offers these core courses and facilitates SOLO certifications.